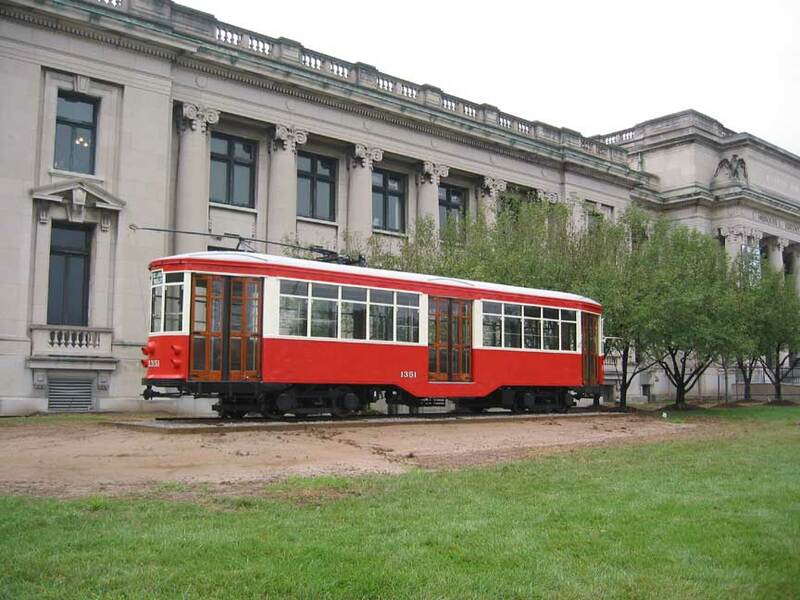 Gomaco Trolley Company has purchased 71 of Milan's historic Peter Witt trolleys. 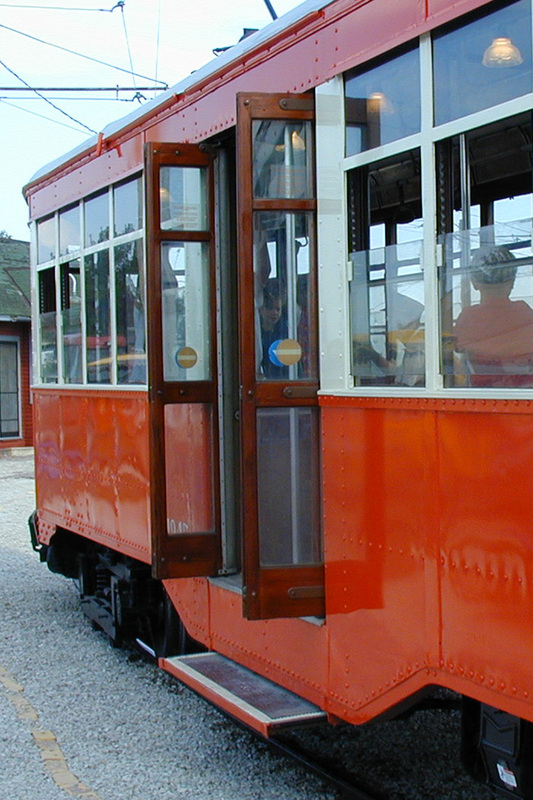 These trolley cars had traveled on the rails in Italy for nearly 70 years and were part of a line that provided the bulk of service on Milan's surface rail system. 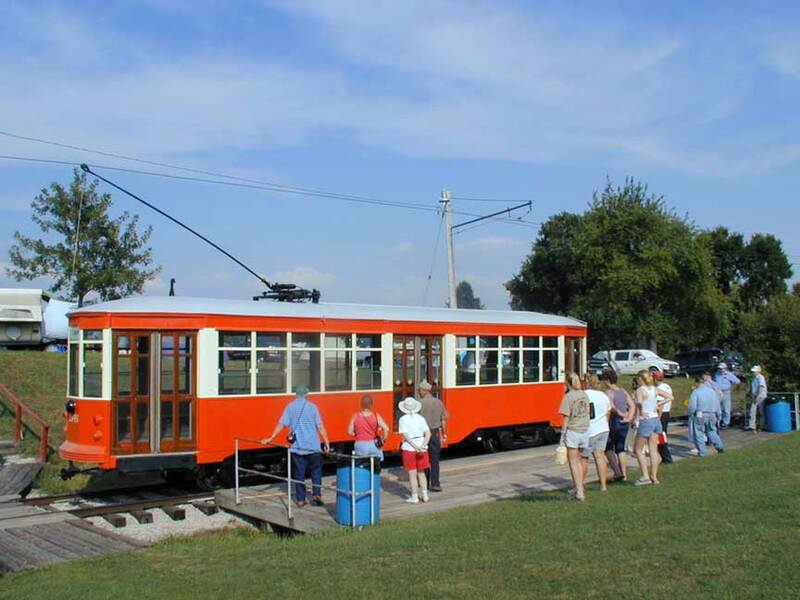 Milan's Peter Witt cars, based on those designed in 1914 by Peter Witt, a Cleveland Street Railway commissioner, are essentially unchanged from their original 1927-1930 construction. 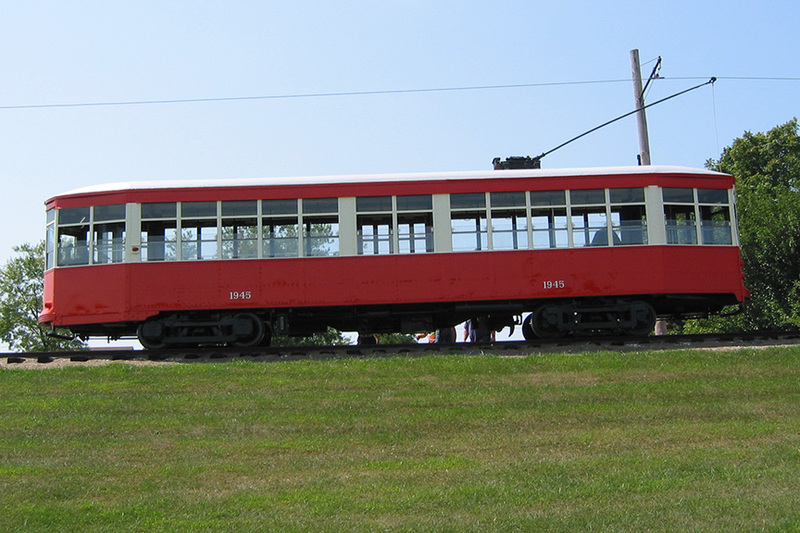 They were ordered as part of a rolling stock modernization program to replace worn-out, two-axle trams delivered at the turn of the century when horsepower lines had been electrified. 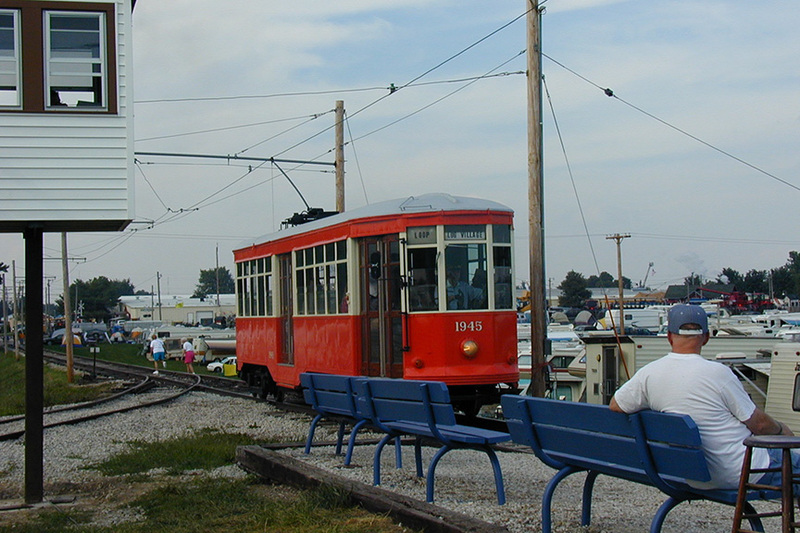 The management of the city's Tramway Department, which owned and supervised a network operated by the Edison organization in the 1920s, also wanted larger vehicles and settled on American technology. 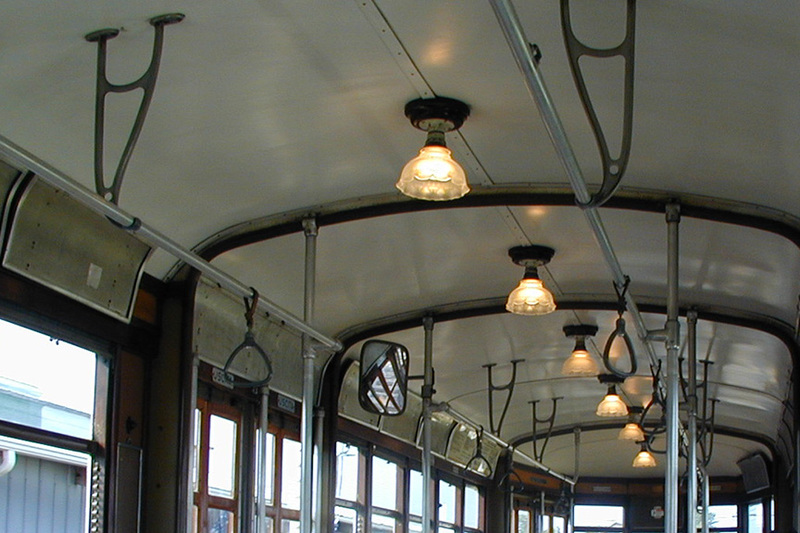 The high-capacity Peter Witt configuration seemed ideal for Milan's growing ridership because it allowed for passengers to board quickly through wide doors at the front. 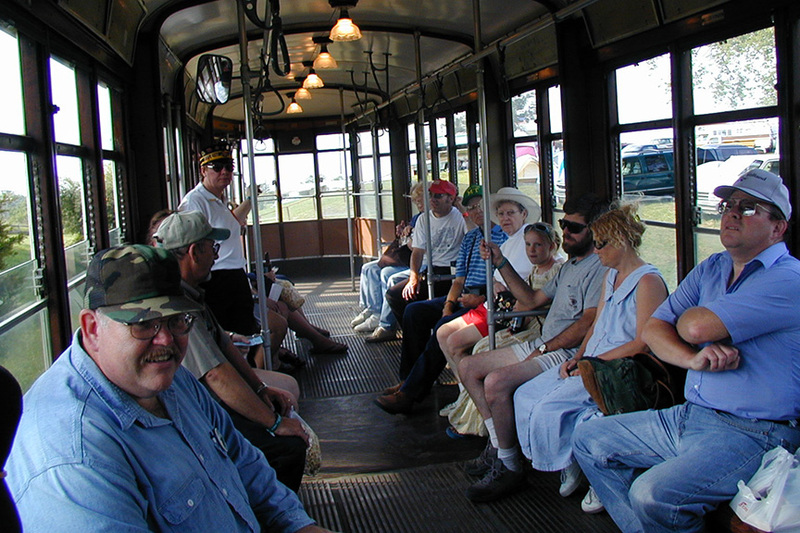 Riders then could move toward the rear, encountering a seated conductor who collected fares after the car started. This reduced the amount of time spent at stops. 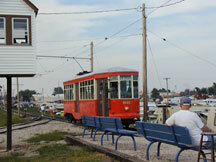 The trolleys purchased for restoration by Gomaco Trolley Company are available for sale. 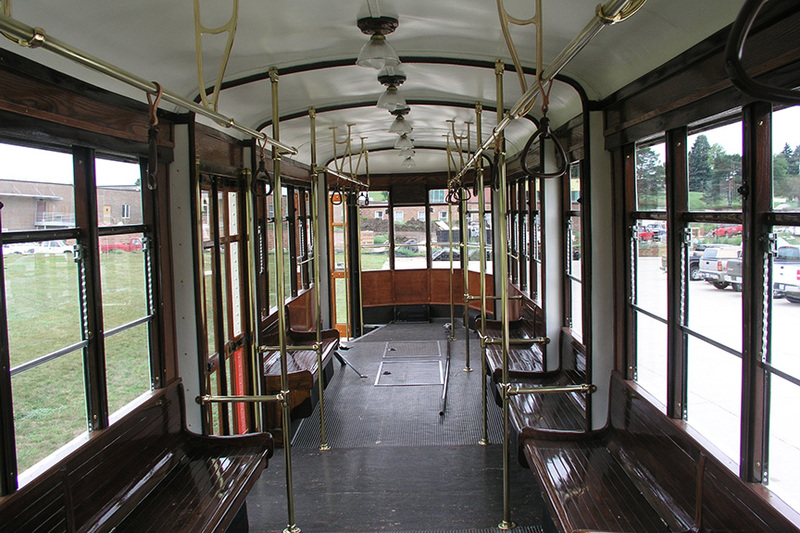 If you would like to learn more about these historic trolleys or discuss reconditioning one to your specifications, feel free to contact Gomaco Trolley Company. 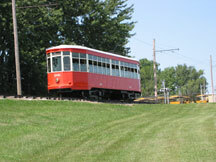 Peter Witt trolley #1945, formerly a fixture at the entrance of Gomaco Trolley Company, has been in Mount Pleasant, Iowa, since August 2002. #1945 - Mount Pleasant, Iowa. #1351, #1352 - Ida Grove, Iowa. Source of Running Equipment: Peter Witt trucks from Milan, Italy. Running Equipment: W2 electric motor trucks. Seating: 30 sitting, 100 standing (based on six people per square meter). 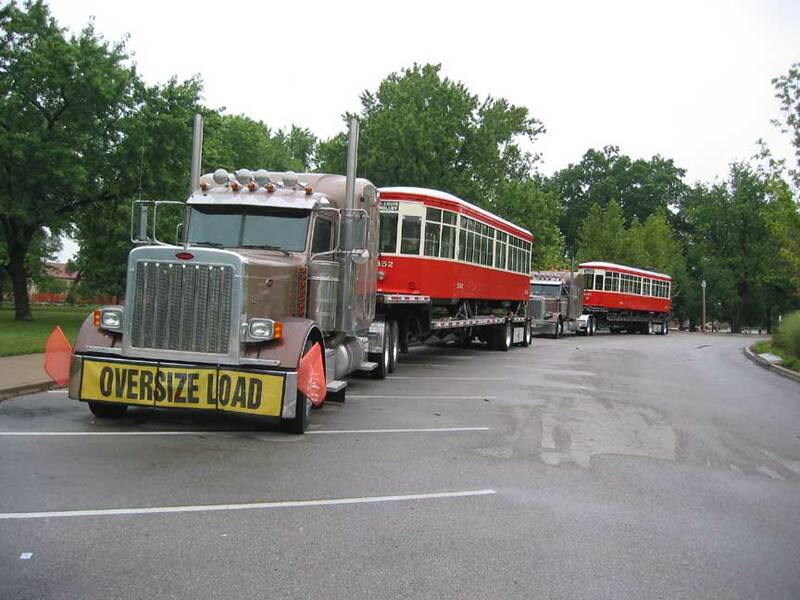 Total Crush Load: 130 people (does not include the operator). Seats: Wood slat bench seats along the perimeter. Frame: Partial metal framework with wood spacers beneath the floor. Windows: 16 on the side without doors. 10 on the side with doors. Fittings: Original castings from Peter Witt trolleys. Paint: Orange and cream. Color and details are selected by customer. Lights: 5 incandescent interior ceiling lights. Whistle: Three-tone air chime with WABCO valves. 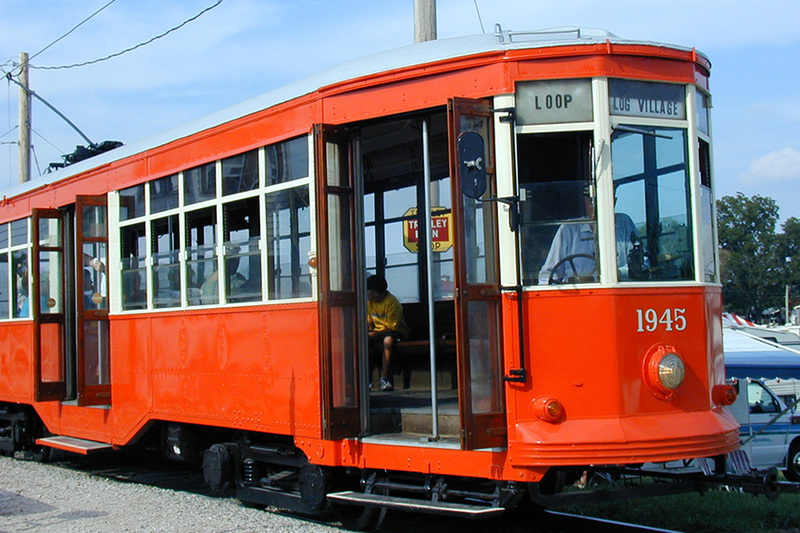 Constructed by Gomaco Trolley Company. Steps: Folding steps at each door. Air-operated by the conductor. 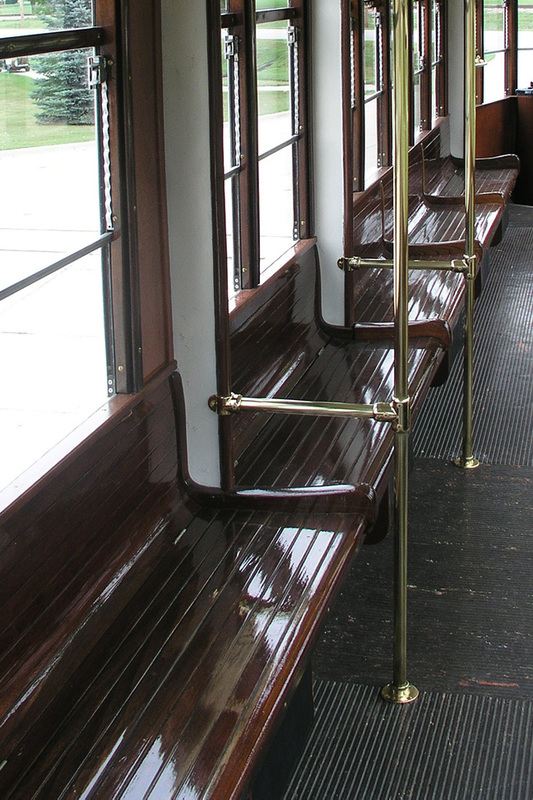 Side Doors: Three sets of wooden bi-fold doors on one side of the car. Air-operated by the conductor. 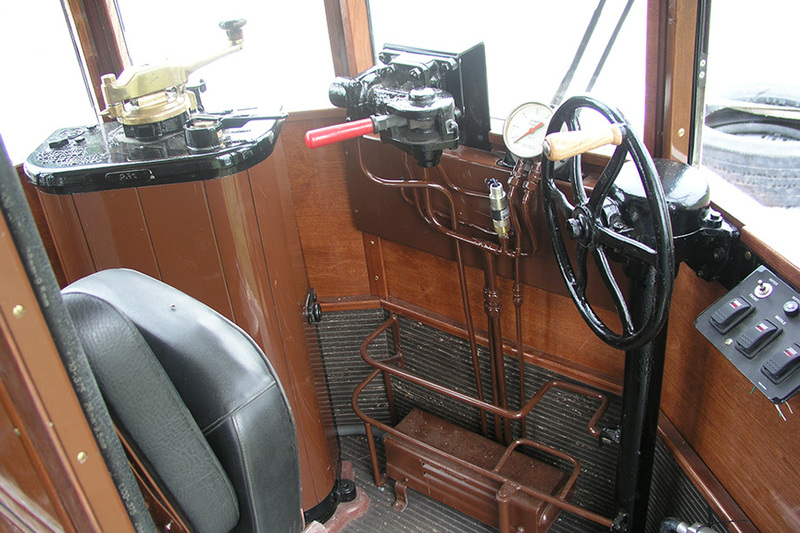 Brakes: Air-operated friction brakes, with shoes on the wheels. Floor: Transit-style vinyl flooring over a 3/4 inch subfloor. 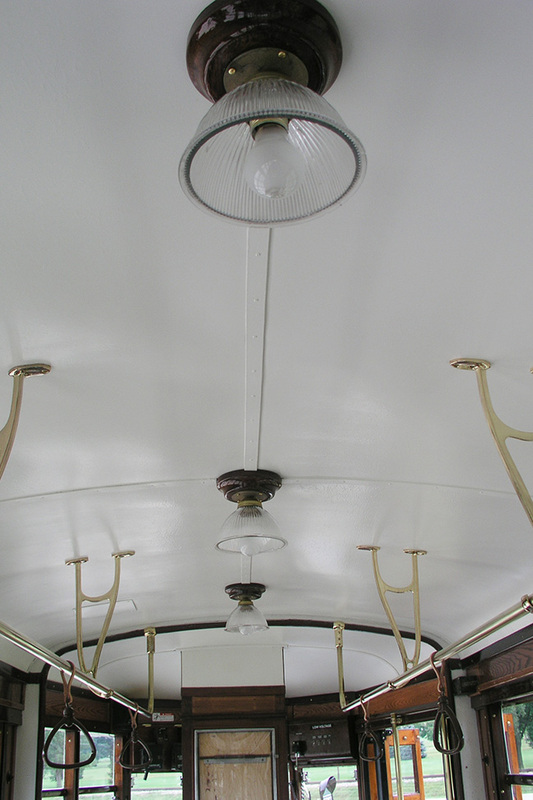 Ceiling: Painted 1/8 inch masonite. Roof: Tongue-and-groove fir with painted canvas. 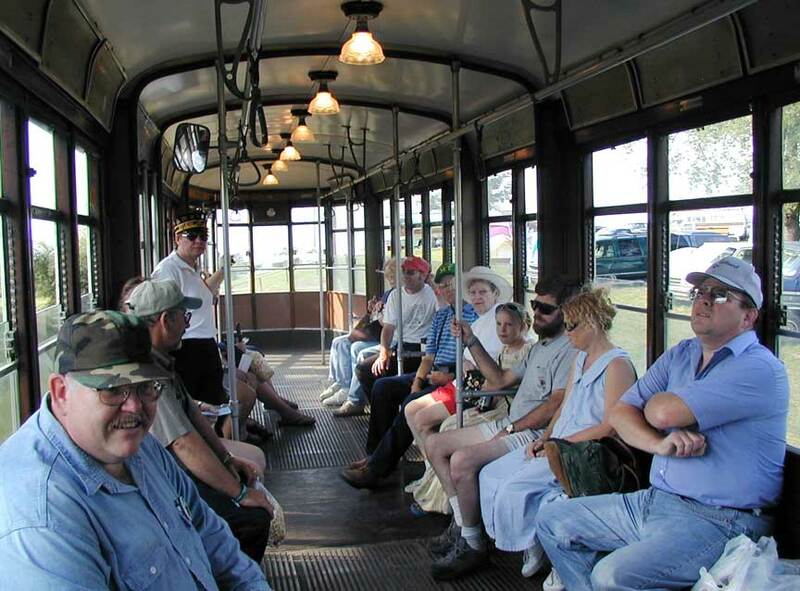 Floor plan for the reconditioned Peter Witt trolleys. 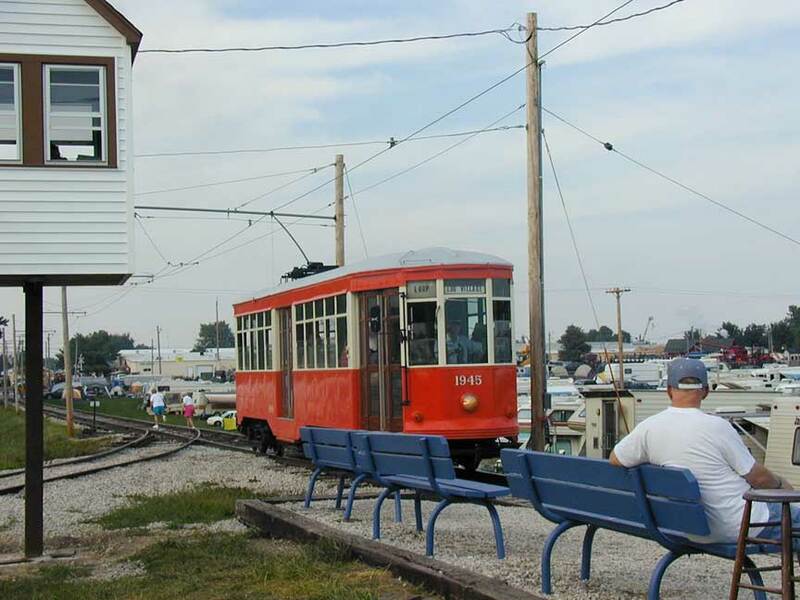 Milan's Peter Witt trolleys traveled the rails in Italy for 70 years, and now one transports guests in Mount Pleasant, Iowa. 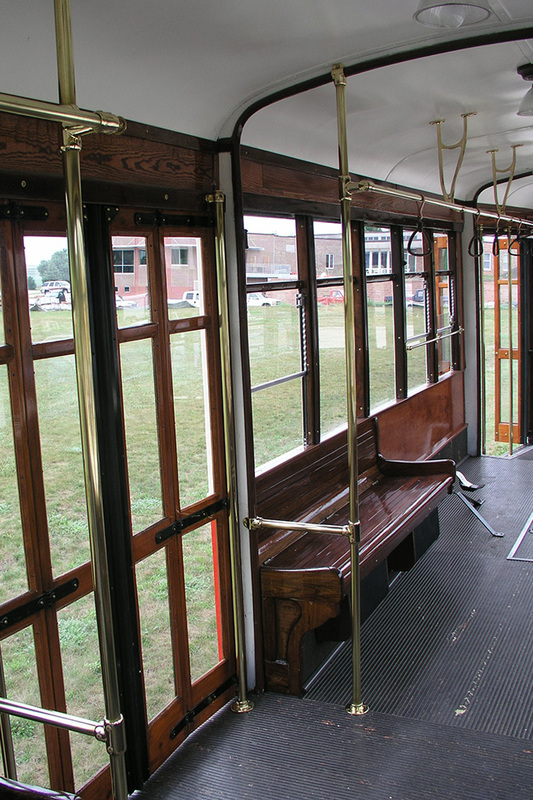 Peter Witt trolleys have three sets of wooden bi-fold doors with steps, located on one side of the trolley. 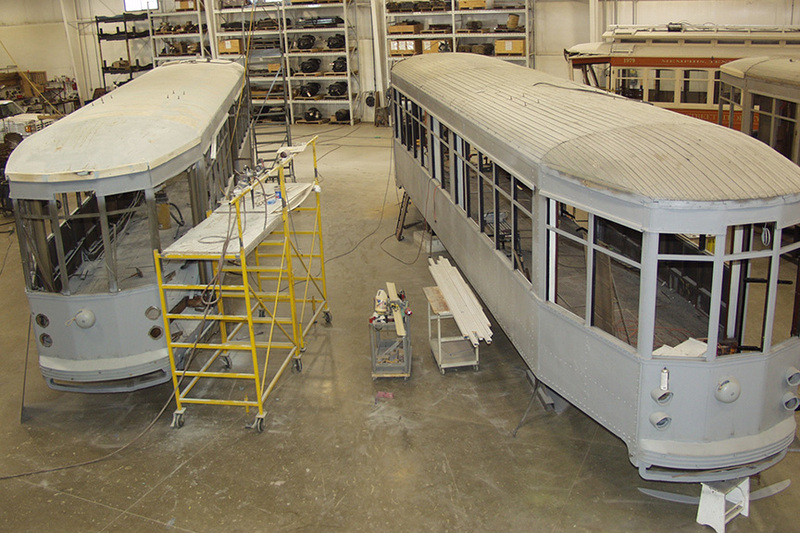 Gomaco Trolley Company purchased 71 of these historic Peter Witt cars, which are available for reconditioning. The Peter Witt trolley's wide-open layout can accommodate a total of 130 guests, 30 sitting and 100 standing. 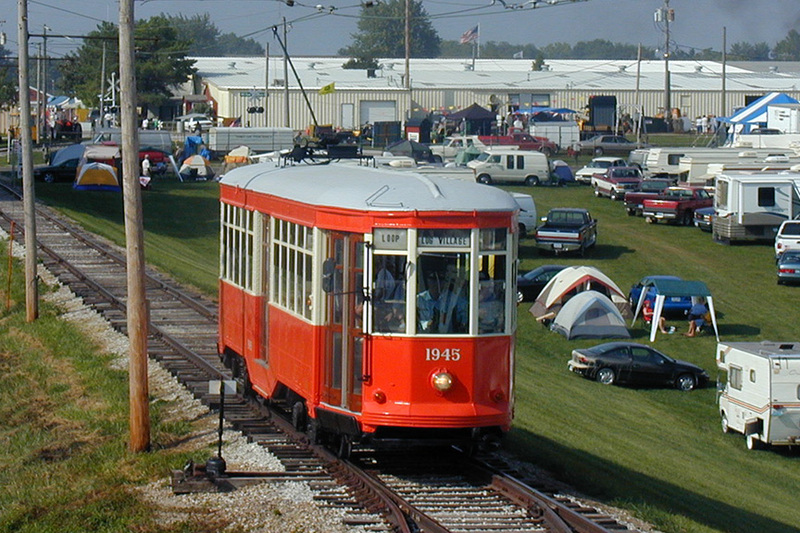 Trolley #1945 is a staple at the annual Midwest Old Threshers' Reunion in Mount Pleasant, Iowa. 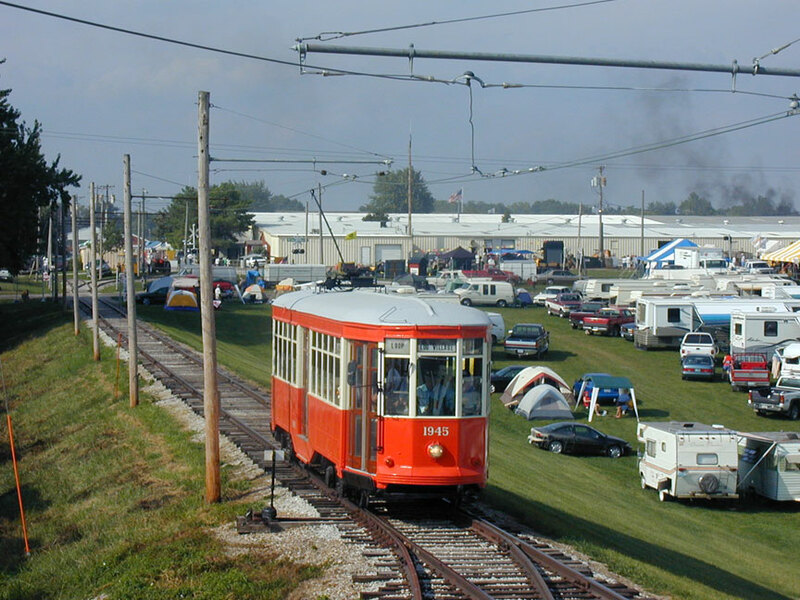 The festival is held Labor Day weekend. Reconditioned Peter Witt trolleys #1351 and #1352 are transported from Ida Grove. 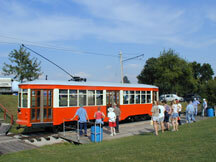 This Peter Witt trolley is painted orange and cream. Colors and details are selected by each customer to create their own unique look.